I loved it. This is the boat we took, the Michigan, and it was an absolutely lovely, relaxing, hour and a half tour across the water. There were some games and sing-alongs on board hosted by a gentleman that I felt like could have been a modern-day, very charismatic pirate (I mean this in a good way), but my Japanese wasn’t strong enough to participate and that’s okay, I mostly just wanted to see the lake anyway. We went on the cruise in the middle of the week and I think we may have been the only foreigners on board. It seemed more like a cruise for people of retirement age, but I didn’t mind! 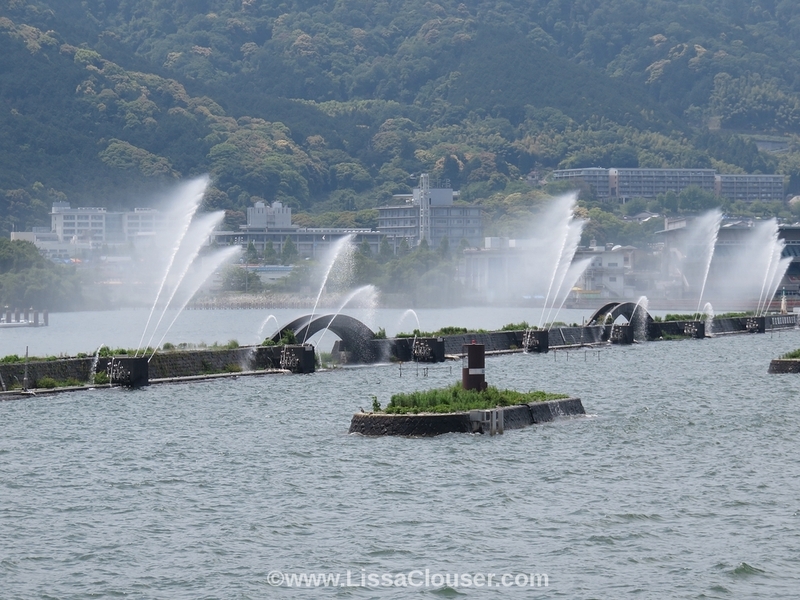 I love being on the water and get to do it so rarely even at home, plus so many of our explorations in Japan involved lots of walking and climbing so it was wonderful to take a day and just sit back for a bit. The pamphlets we picked up at the dock (they had English language options for most of them) told us this was Japan’s largest lake and also one of the oldest lakes in the world. I’d love to know more! 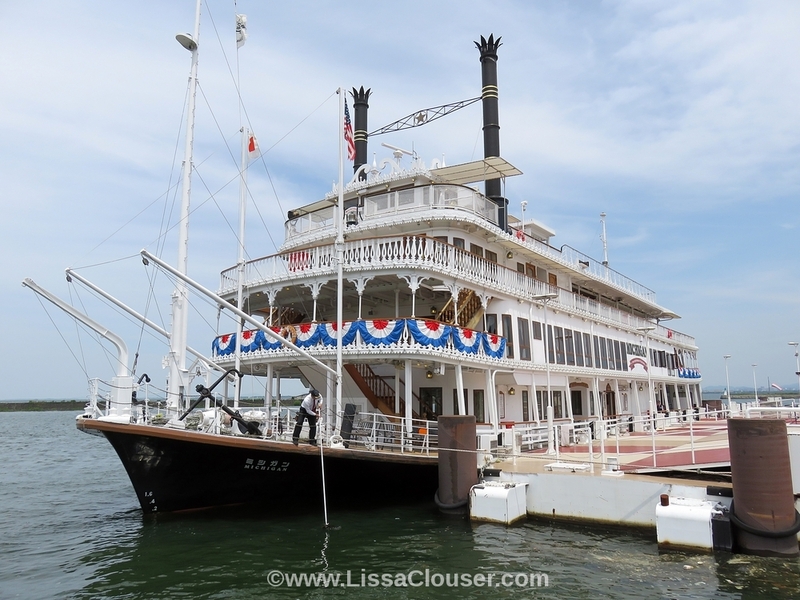 They also offer longer, nighttime cruises that include dinners, so that may be something worth checking out or planning if you’re interested in visiting. 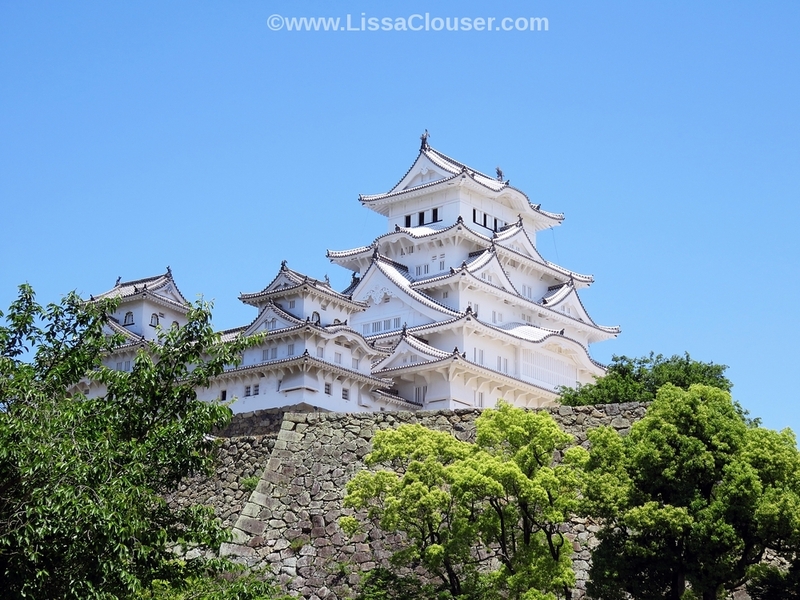 We were very lucky with the timing of our trip as Himeji Castle had recently completed restoration and therefore was a gorgeous, gleaming white. It’s also known as the White Heron Castle. 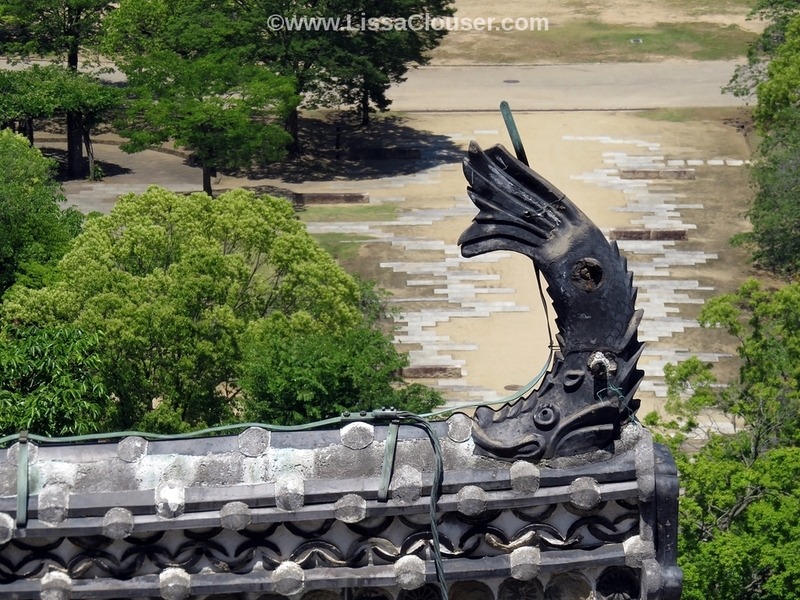 We were slightly unlucky in that the day we visited was one of the two hottest days of our trip with a glaring sun. That and the climb up was a much steeper climb than we had anticipated. But it was absolutely still worth it. Due to the heat we didn’t explore the full castle grounds quite as much as we would have liked, but we definitely made the climb all the way up to (and all the way to the top inside) the main keep. Beware, the climb up and down on the inside is a very narrow and steep staircase (even at 5’7″ tall it was a bit sketchy for me in places) but if you take it slow and pay attention to low ceilings, which are usually well marked, it’s quite manageable. 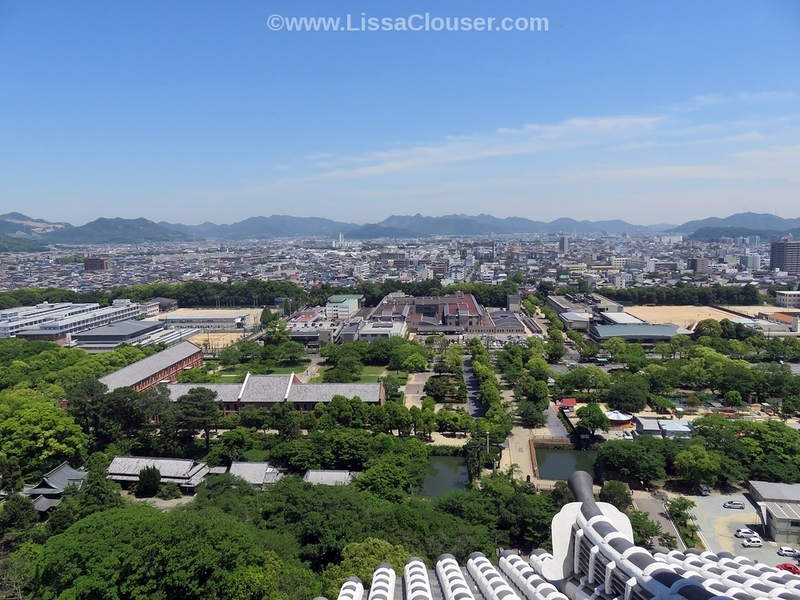 We rode up the side of Mount Monju on a chair lift for this view and it was just… wow, breathtaking. I understand why it’s considered one of the most beautiful views. We took it all in for a little while up there before heading back down into town for lunch at one of the small, family restaurants, and then on to walk the sandbar you see in the photo. 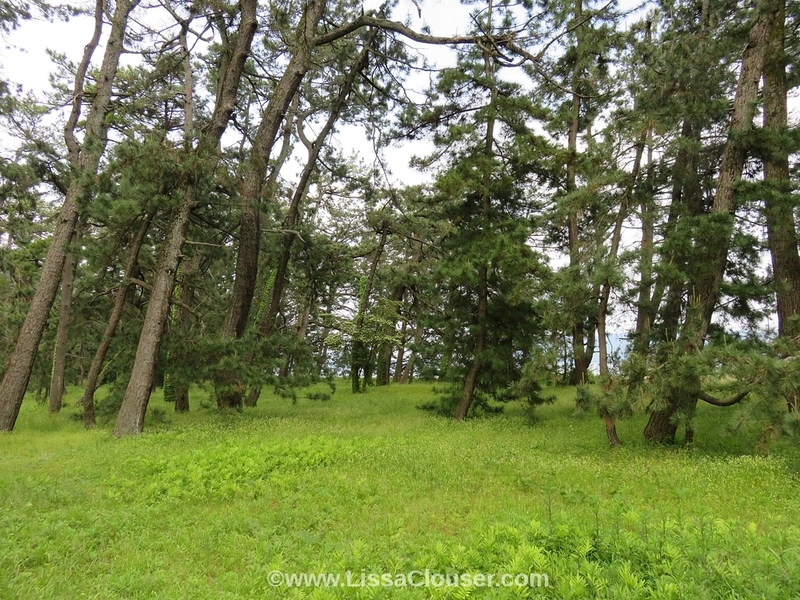 It’s about 3 kilometers (roughly) and on it grows a black pine forest. The trees reminded me of a Dr. Seuss forest with the way they leaned and stretched and twisted around one another. I also kept darting to the beach and back to the path. I’m an ocean-junkie. Every time I walked away I’d think ‘just another moment!’ and have to run back. We wondered why we didn’t see anyone in the water on the left side of the picture above. The beach was on the right side, but it would have been easy to get in and out of the water on the other side as well. It wasn’t until we sat down later for a snack in one of the cafes that sat right on the water that we looked down and saw dozens and dozens of jellyfish. Well now. That explains a lot! 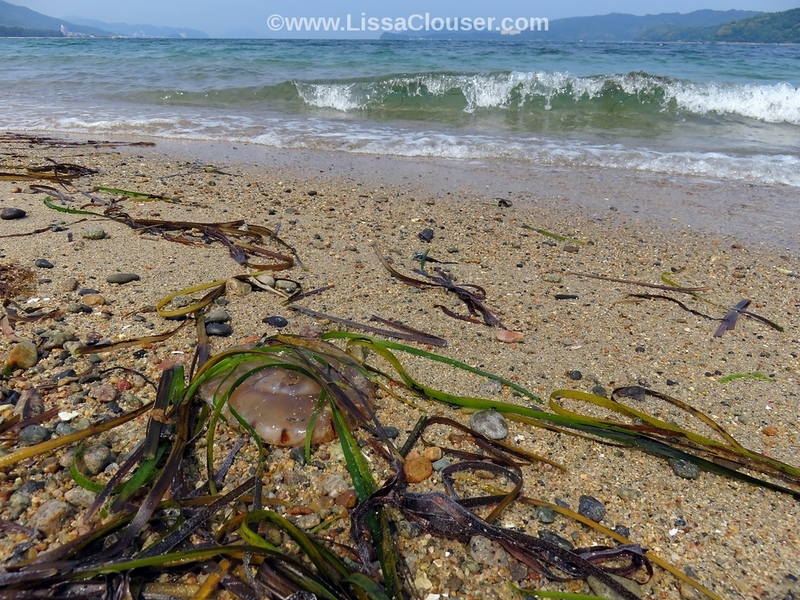 The only jelly I saw on the beach side was, well, stranded on the beach. I’m sure there are a few on that side too, but plenty of people and children were playing in the water there. We rode a ferry back to the side we started from after crossing the full sandbar. Next time we visit here we may rent bikes, and I’d love to have the time to explore much more! 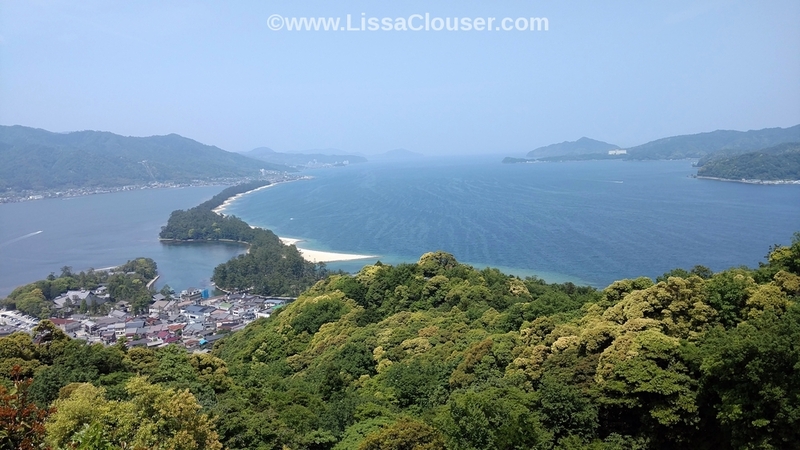 As much as I love soaking up the history and architecture and culture of Japan, I also dearly love soaking up the nature, and this was the perfect day-trip to do just that. Here are some of the Dr. Seuss trees I mentioned. I wonder what weather occurs to shape them! – Arashiyama: Okay, this is technically a part of Kyoto, but is often referred to separately so I’m including it all on its own. I’ve heard wonderful things about the shops and the town there, but this was our last day in Japan and we didn’t have the opportunity to explore any of it. I’ll definitely be going back! We did take a rickshaw to the Togetsukyo bridge, and between my bit of Japanese and our driver’s bit of English we had a great conversation along the way. This wasn’t a planned thing, but when we left the train station and I saw the rickshaw drivers I knew I wanted to take a ride. So much fun!! A great way to see the city and I’m very impressed with the drivers’ friendliness and athleticism. 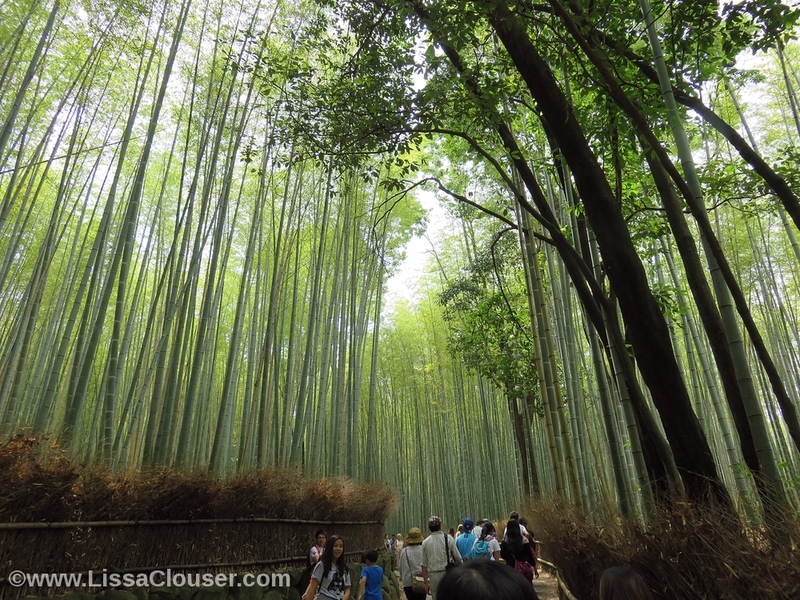 We had the chance to very briefly explore some of the gardens of Tenryu-ji temple and go to wander into the incredible bamboo groves just far enough to really be amazed. I was not at all prepared for simply how huge the bamboo was. I can’t wait to revisit the temple and the bamboo groves when I have much more time, plus all the bits of Arashiyama we didn’t get to see! Honestly, one day just isn’t enough there at all. Then, after we left the bamboo groves, I got us thoroughly lost in trying to find the train station again. I’m great at directions and backtracking, but since we got to the temple by rickshaw I wasn’t paying attention! Oops. We managed to find the train station just in time for the tickets we’d bought to take the Sagano Romantic Train on the Sagano Scenic Rail. 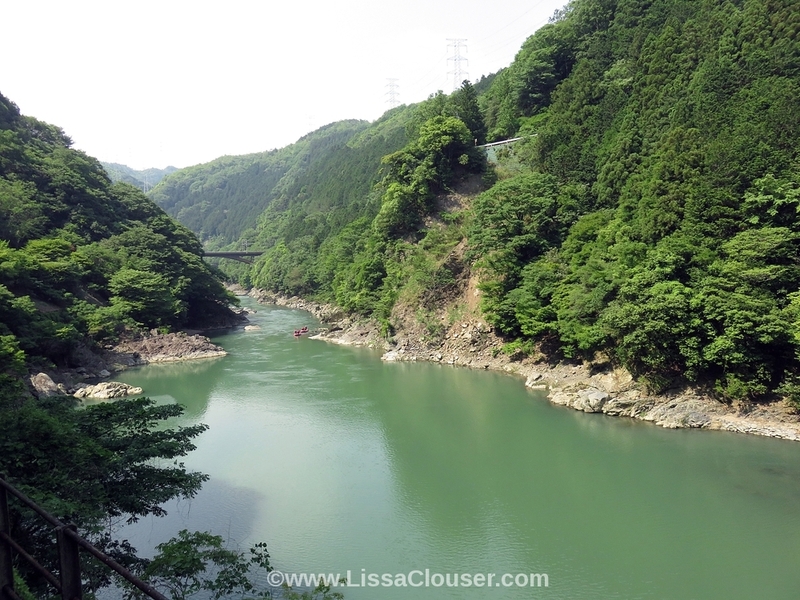 I cannot recommend this train ride along the Hozu River enough. If you get the chance, hop on that train. Really, are you going to turn down a 25-minute or so ride of views like this? If you’re there to enjoy any part of Japan outside of the big city and technology sector, I’m going to guess you won’t. You can even take a river cruise back up the river if you’d like! When we got to the end of the rail it was only about a five minute or so walk to the JR station that could take us back into Arashiyama or further, if you’d like. And that concludes our travels in Japan… at least for now. I want to go back as many times as I possibly can in this lifetime, so hopefully there are more adventures on the horizon!